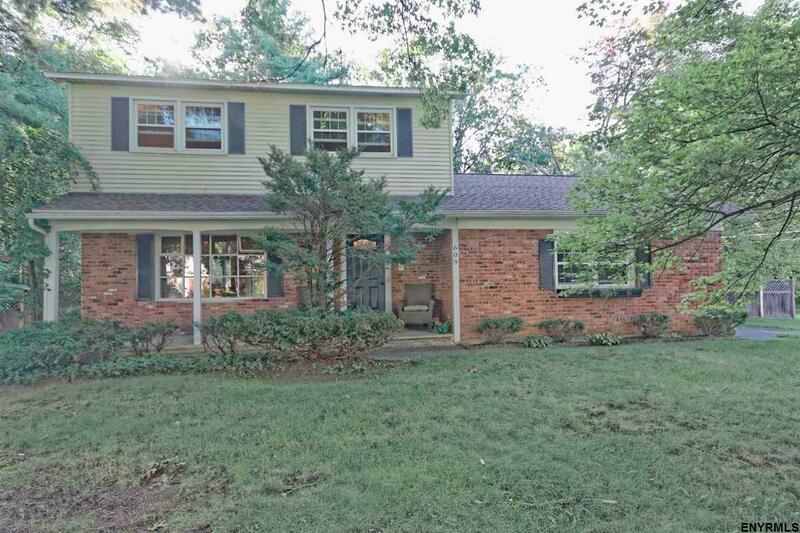 Situated on a large corner lot in the heart of Guilderland sits this updated side hall partially brick fronted Colonial. Relax on the large front porch or take a dip in the 16 x36 IG pool. Refinished HW flrs throughout. Formal LR & DR. Eat in w/ custom cabinetry & tiled back splash over looks bright family room w/ wood beams & masonry brick FP leading out sliders to a wonderful yard w/ patio & shed. Updated baths with stylish dÃ©cor throughout. Full bsmnt could easily be finished. Just move right in.